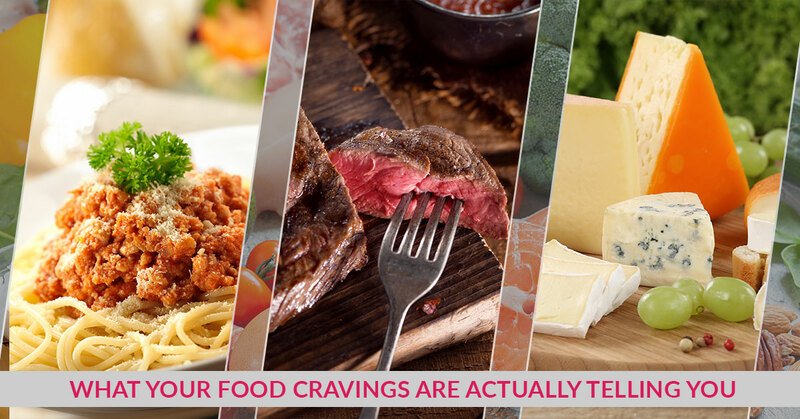 When you’re stressed or verging on hanger (hunger-anger), what type of food do you crave the most? For some, it’s an entire pint of ice cream. Others crave carbo-loaded food like pretzels and bread. Another group of us rushes to the chocolate aisle of the local grocery store and has a feast. Because of the way our society views cravings and food, we tend to push away these cravings and take avoiding them as a sign of self-control. In reality, however, you should listen to these cravings, as they are your body’s way of communicating with your brain and letting it know what you need. Now, before you go and buy the entire frozen food aisle, consider that cravings for junk food actually signal cravings for vital nutrients that your body needs. If you tend to crave these common foods, here’s a list of healthy-eating alternatives. Cheese: If you crave cheese, you might be missing essential fatty acids. Replace with: foods loaded with omega 3 fatty acids, such as avocados, salmon, and chia seeds. Replace with: dark leafy greens such as spinach and kale, nuts, seeds, and whole grains such as quinoa. Salty snacks (popcorn, chips): Cravings for salty foods might suggest a chloride and essential fatty acid deficiency. Replace with: omega-3-rich foods such as flax seed, chia seeds, nuts, and salmon. Chocolate: You might need more magnesium. Candy and Sweets: This could signal a range of deficiencies, including chromium, sulphur, and low blood sugar. This list is by no means exhaustive, but we hope it gives you an eye into healthy eating alternatives when the cravings get really strong. Also, life is about balance, so don’t be too hard on yourself when these cravings come around! At Local Flow Health Bar, our smoothies and lunch bowl options are packed with nutrients. You get your dose of omega 3 fatty acids, leafy greens, whole grains, and fiber! Plus, we’re all about healthy eating without the pretentiousness, so you can stop in today for a great meal with great culture (and cultures, if you order a kombucha). Now that you know the healthy alternatives to common cravings, it’s time to find a local place where you can actually get these options. At Local Flow Health Bar in McMinnville, our menu features healthy and delicious options. We source our food locally, so it’s healthy for the body and environment. Check out the Local Flow Health Bar menu today and stop by for smoothies, avocado toast, acai bowls, quinoa bowls, and more in McMinnville. We also deliver to the McMinnville area, so call us today to place an order.